When Google released its flagship smartphone product the Nexus One, it received rave reviews and has continued to be a player on the portable device market. Now two models removed from the original, we see how the Nexus One stacks up against the yet to be released Nexus Prime. The minimalist shape and chrome build of the Nexus One has been a popular aesthetic with many critics. The screen uses up the majority of space, and this always improves the look of portable devices. The touch-sensitive buttons and fluid track ball juxtapose nicely with the overall countenance. 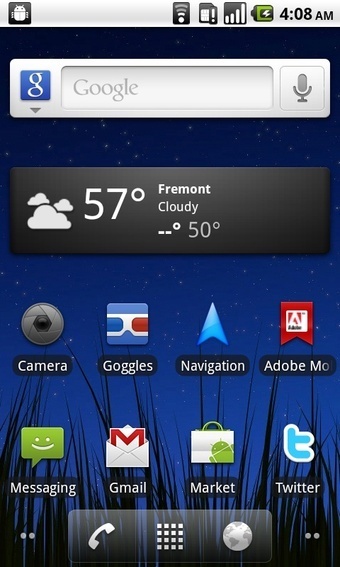 It’s patently obvious that Google is fond of the design, as the Nexus Prime shows little alteration in this regard. While the builds are similar, the Nexus Prime’s significantly larger screen sets it apart from the Nexus One. Despite the quality of the Nexus One’s 252 pixel per inch AMOLED screen, it is hard pressed to compete with what is rumored to be the first 720p smartphone. Other features likely to be included are multi-touch and an accelerometer sensor. The Nexus One was potent for its time, backing its 1GHz Scorpion processor with an Adreno 200 GPU and 512MB of RAM. Yet as we begin to see dual core processors become standard in tablets, it isn’t surprising that the architecture would eventually find its way to smartphones. The Nexus Prime is said to boast a brawny 1.5GHz dual core TI OMAP4460 processor supplemented by a PowerVR SGX540 GPU and 1GB RAM, revolutionary for a device that fits in the palm of your hand. The Nexus Prime once more is the beneficiary of a next generation upgrade, as the smartphone will roll out with the much anticipated Android Ice Cream Sandwich. Currently, the Nexus One runs Android 2.4 Gingerbread, yet it too will reportedly be upgrading to the next generation software. The Nexus Prime is reported to have a 5 megapixel primary camera that is capable of full 1080p HD video capture. In addition, the camera should come equipped with the usual features, such as auto-focus, digital zoom, and a secondary camera for video calling, but the video capture is DVD quality. As the newer model, the Google Nexus Prime is naturally the more advanced device. Yet the difference between the two models is staggering, considering the dual core processor, the 720p display, and the 1080p video capture in the Nexus Prime. For Nexus One owners, truly this is a case where the cost of an upgrade is justified. Article written by Sarah Richards from MobileBroadband.net. Sarah writes on a wide range of broadband topics including 3 broadband reviews. Google Android 2.2 Froyo: What’s New? So over at the recently-concluded Google I/O conference, Google unveiled Android 2.2, or Froyo, to the world. Now with people eagerly waiting for iPhone OS 4.0, Android 2.2 amazingly showed that Google can beat Apple, and if Google manages to get the products they announced out (oh my lord I want me some Google TV), there is a huge possibility that Apple may play catch-up soon. – Improved security with the addition of numeric pin or alpha-numeric password options to unlock device. Exchange administrators can enforce password policy across devices. – Remote wipe: Exchange administrators can remotely reset the device to factory defaults to secure data in case device is lost or stolen. – Exchange Calendars are now supported in the Calendar application. – Auto-discovery: you just need to know your user-name and password to easily set up and sync an Exchange account (available for Exchange 2007 and higher). – Global Address Lists look-up is now available in the Email application, enabling users to auto-complete recipient names from the directory. – Portable WiFi hotspot: Certain devices like the Nexus One can be turned into a portable Wi-Fi hotspot that can be shared with up to 8 devices. Honestly, this has made me all the more excited to get an Android phone once my current phone – a Nokia E63 – dies on me. What do you think? If you’re planning to buy the Nexus One from Google’s online store so you can get it contract-free, you well, you better act fast. Google will soon stop selling their flagship Android phone online. Don’t think for a moment that this move means that Google is going to drop the Nexus One. This is merely a change in strategy. It seems that Google has realized that people don’t like to buy phones without seeing them first, so they’re switching strategies and are selling the Nexus One via retail outlets. More retail availability. As we make Nexus One available in more countries we’ll follow the same model we’ve adopted in Europe, where we’re working with partners to offer Nexus One to consumers through existing retail channels. We’ll shift to a similar model globally. From retail to viewing. Once we have increased the availability of Nexus One devices in stores, we’ll stop selling handsets via the web store, and will instead use it as an online store window to showcase a variety of Android phones available globally. Innovation requires constant iteration. We believe that the changes we’re announcing today will help get more phones to more people quicker, which is good for the entire Android ecosystem: users, partners and also Google. Once Google sees stable sales of the phone via traditional retail channels, they’ll pull the plug on the web store. They say that it was a great niche channel for early adopters, but it’s not for everyone. Well, that was fast. 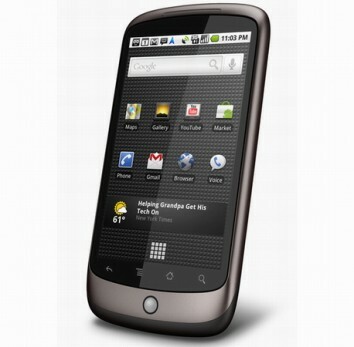 A mere three weeks after the Google Nexus One was launched, rumors are coming out about the Google Nexus Two. That’s right, guys. We’re going to talk about the sequel to the Google Nexus One, even before it starts to warm up in people’s pockets. According to the rumors, the Google Nexus Two will be manufactured this time by Motorola. Google is allegedly looking into one of Motorola’s not yet in production models, the Motorola Shadow, to be sold as the Google Nexus Two. The Motorola Shadow is going to be a pretty nice phone, with a slide-out QWERTY keyboard while at the same time having an alleged thickness of 9mm. Other features of the Nexus Two (man, I just love typing that) are: a huge 4.3″ touchscreen of 850 x 484 pixels (or more probably 854 x 480 pixels), HDMI port and will pack an 8-megapixel snapper capable of 1080p video recording. Holy wow, HDMI port. It is still unknown if the Shadow/Nexus Two will run the Android OS v2.1 or a newer version, maybe the rumored Froyo (comes from “frozen yogurt”). And while we’re at it, there is one more Android based Motorola device that leaked these days. Of course, we mean the Ruth (a.k.a. Motorola MB511) which specs have been spotted in company’s own user agent profile database. Unfortunately, there’s nothing thrilling to see: the Ruth will be a GSM/WCDMA with a Qualcomm MSM 7200A 528 MHz processor and MOTOBLUR-ed Android OS v1.5 aboard. The low resolution screen (of only 240 x 320 pixels) along with the other specs suggests that the phone will be competing with affordable devices such as the HTC Tattoo. It all started as rumors spreading in Twitter. Apparently Google employees were given a phone to test (or “dogfeed,” as the practice is known). The employees started tweeting about how amazing it was and how it can cure cancer, solve world hunger, etc. Okay, I’m just kidding. But we all know how great the new phone is and how Android 2.1 is amazing on it. Soon, pictures of the new phone started to leak and spread like wildfire. 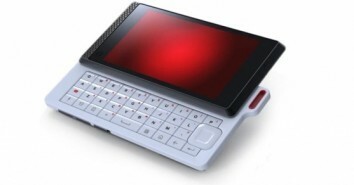 The “Google Phone” is running on HTC hardware and it seems to be an HTC Passion, but without the branding. Soon it was revealed that the Google Phone is actually called the Nexus One, and it will be sold unlocked. Amazing. Again, I don’t think I want to use the term iPhone killer. Please, it’s been overdone. But believe me when I say that only Google would have the same brand equity as Apple which would demand the same amount of loyalty. Plus the fact that the Nexus One is unlocked and can be used with any carrier is going to win them a lot of users fed up with AT&T. Let us wait and see what will happen. 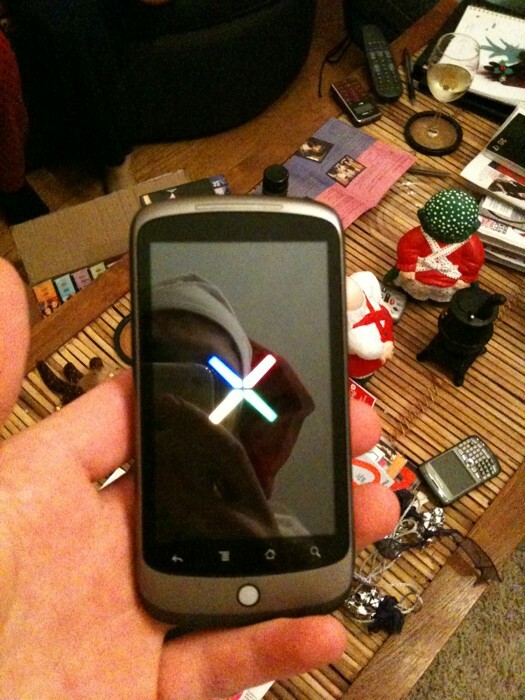 Meanwhile, here’s a video of Nexus One booting up at a less-than-impressive 20 seconds. If Google hopes to beat the iPhone, the Nexus One has got to do better than that. Affordable Phones to Salivate on!